If you have been thinking about putting your house on the market, then you should consider updating your kitchen. Doing so, will increase your profit margin and most likely will help your home sell faster. According to this article from HGTV, remodeling your kitchen should earn a seventy percent return on investment, once the home is sold. Try to avoid creating your own dream kitchen and focus your attention on what a potential buyer may want instead. You may personally like bold colors or fancy cabinet handles, but in order to appeal to potential buyers, your kitchen and the rest of the home should be neutral in color. Don’t add intricate drawer knobs, bright paint or elaborate light fixtures. Buyers may not have the same design taste as you, therefore keeping a neutral color scheme and avoiding over the top accessories is a must. The first thing people notice when walking into a kitchen is the cabinets. If they are in poor shape or completely out of style, buyers will be immediately turned off. If the cabinets are not in extremely bad shape, you can opt to give them a facelift, by adding new fronts or possibly painting them. Usually, the best option is to replace them altogether with an updated style that will look and feel like brand new. In addition to cabinets, the countertops are equally important when updating the kitchen. When a potential buyer walks in and sees a brand new, shiny countertop, you will definitely make a good impression. Granite countertops are an excellent feature that will pull the look of the entire kitchen together. You will need to take into consideration that the cost is higher than laminate, but the return is worth it if you can afford to make the initial investment. If you are on a tighter budget, keep in mind that there are different levels of granite that are on the market. For example, first tier granite is less expensive than third tier granite. It’s rare that anyone asks what tier granite the counters are. Most people are just satisfied in knowing that they are granite and don’t inquire further. A tile backsplash will give your kitchen that extra “pop” that you are looking for. This is an inexpensive way to update a kitchen and create a stunning design that pulls the entire look of the room together. There are many different size tiles and colors that you can choose from. Place the backsplash behind the sink and stove. You can also add it above any countertop. Adding stainless steel appliances to the kitchen gives it an overall sophisticated look that never goes out of style. You can easily find reasonably priced stainless appliances that will give your kitchen that upgraded look that you are looking for. Stainless steel sinks are also a great idea when remodeling. They never go out of style and are functional and budget friendly as well. By following the simple tips mentioned above, you should be able to sell your home in a timely fashion. Not only will you sell quickly, but you will also make a larger profit from your home. Be mindful not to go overboard on your spending, or your return will decrease dramatically. Keep your design simple and neutral, with a bit of a wow factor. Potential buyers will be chomping at the bit to purchase your home. If you opt to do the remodeling yourself, keep in mind that it will take much longer than if you have a professional do the work for you. You may also run into roadblocks if you come across unforeseen issues during the process. For further reading on remodeling your kitchen, check out these articles: 6 Design Ideas To Create A Traditional Style Kitchen and How To Add Unique Texture To Your New Kitchen. 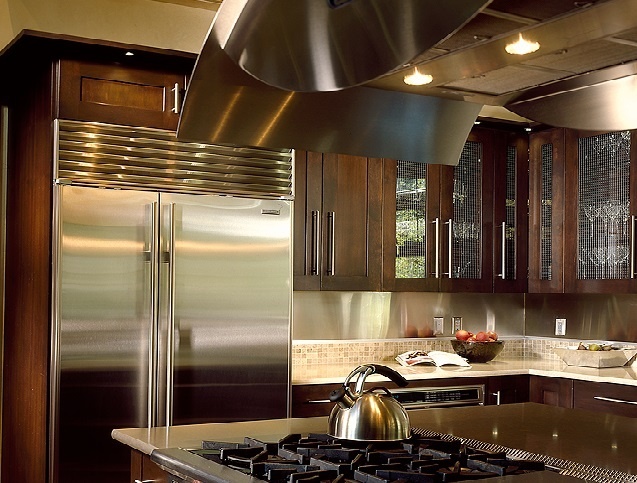 Hidden Costs of Kitchen Remodels: Are You Overspending?